Should I Worry About Cracks in my Foundation? Foundation cracks can be tricky. Some may create expensive problems, while others are completely harmless. But it can be difficult and frustrating trying to determine whether or not your foundation cracks will bring you trouble. And that’s why having our basement waterproofing experts come check out the situation can be extremely beneficial. But for now, let’s take a look at how you can determine when you should begin to worry about cracks in your foundation. Seeing a crack in your home’s foundation can cause you to panic and rightfully so. Foundation cracks can pose a threat to the integrity of your home’s structure and can lead to a laundry list of other issues like basement leaks and pest infestation. But not all foundation cracks are problematic, so try not to worry too much when you initially discover one. So what characteristics determine if the crack is harmless? Well, size is obviously a big factor. If it’s only a hairline crack, you should have nothing to worry about. Find a ruler and measure the width of the crack. Cracks less than 1/16 inch typically pose no threat to the structural integrity of your home. However, you should monitor the crack to make sure it isn’t getting any larger. Also, be aware that pests are capable of slipping through even the smallest of cracks in your foundation. 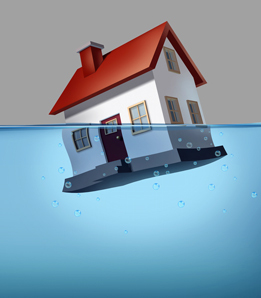 If you don’t want to take any risks, contact our waterproofing team to have your foundation inspected. While some cracks may be harmless, others can be extremely problematic. There are some common characteristics of these cracks that can easily be pointed out and taken care of to prevent further damage. Again, it’s important to measure the width of your foundation crack. Usually when it’s less than 1/16 inch, it’s not a problem. But anything wider should definitely be looked at. These are all signs of much larger underlying issues going on that could potentially damage the strength and structure of your home. If not taken care of, these cracks can lead to settling, water leakage, and many other issues. Some cracks may appear to be harmless, but it’s always a good idea to be safe and get an expert’s opinion. If the cracks in your foundation appear to be harmful based on the above criteria, it’s crucial for you to get a professional opinion to rule out any potential risks. Give us a call today to have your home's foundation inspected and to prevent serious and expensive problems from happening in the future.